Take your first step towards becoming a private pilot today. 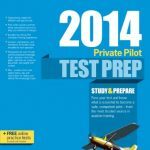 Get instant unlimited access to all FirstFlight lessons and features for one year for just $49.95. Plus receive a FREE 6-month subscription to AOPA Flight Training magazine*. Get advice on how to become a pilot, selecting a flight school and instructor as well as guidance, training techniques, and tips from experienced pilots. Plus get 6 months of access to pilot resources and tools only available to AOPA members. To start learning to fly today click the “Pay with Card” button. Then just enter your e-mail and credit card details which will be securely charged via Stripe. By clicking the “Pay with Card” button you agree to the FirstFlight terms and conditions. *Flight Training magazine and AOPA resources offer is only applicable to subscribers with a U.S mailing address, who are not already AOPA members.